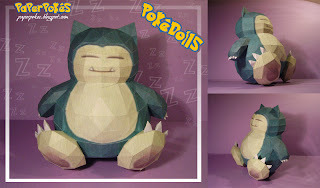 NOTES: When building his head, make sure to fold Snorlax's ears. It will make your build easier and neater. I don't see handclaws anywhere in the pdo. Are they missing or am I really daft? it should work, so maybe you glued it wrong.